Either way, it seems that BBM will soon be available on the iPhone and iPad, as BlackBerry follow through on their aim of taking on popular standalone messenger apps like WhatsApp. The news has emerged via a tweet from BlackBerry’s strategic account manager, Alex Kinsella, who tweeted recently that BlackBerry have submitted BBM for iPhone to Apple’s App Store for approval. In what must have been a painful move for BlackBerry, who were once the leading smartphone manufacturer in the world, they now stand on the brink of offering their software on an iOS device for the very first time. It must be all the more galling that their long-time rivals have kept them waiting over two weeks for the acceptance, and Apple ma yet find reason to query the app, which would send BlackBerry back to the drawing board. In a move that highlighted BlackBerry’s evident belief that this application process would run faster and smoother than has been the case, Blackberry posted user guides for their iOS and Android apps on their website two weeks ago. The guides were the usual overview information sheets, showing users how to perform the regular app functions, including the likes of adding contacts and sending messages through BBM. This leak appears all the more embarrassing consider the long delay in getting the thumbs up from Apple. You can almost imagine the smug faces on the app review team at Apple HQ in Cupertino, California. This is an unusually long delay too, as app approval usually takes around 4 days. The Android app store does not have the same closed-ecoystem, testing based approach, so BlackBerry will be planning to launch their Android app alongside their iOS one, if and when they get allowed in. Initially, it was believed that BlackBerry were targeting a summer launch on Android and iOS, however that target has been missed and the rumour mill had been pointing at a September 23rd launch. 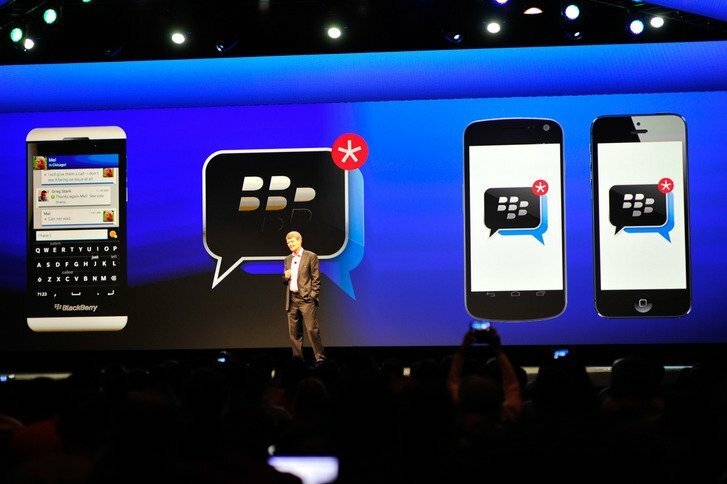 However, its likely that the app will launch as soon as its approved, meaning BBM could be on the iPhone any day now. The app will be free on both iOS and Android, and it will be competing wit the likes of WhatsApp and KIK. Next articleHere’s the new Yahoo logo, but should they have chosen this alternative instead?